Thank you for visiting The Winston Churchill School Music Department webpage. 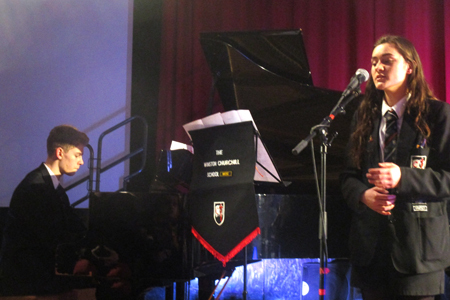 Music is a central and thriving part of our school, with our engaging curriculum enhanced by our extensive extracurricular provision. Please have a look at the different areas of the department below to find out what we offer, what we have coming up, and what we have been up to. In addition we also have our own radio station, Radio Woking. 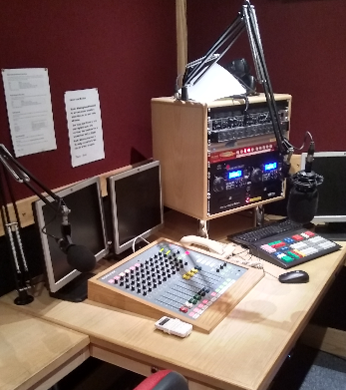 Find out more about Radio Woking and how to hire our recording studio. 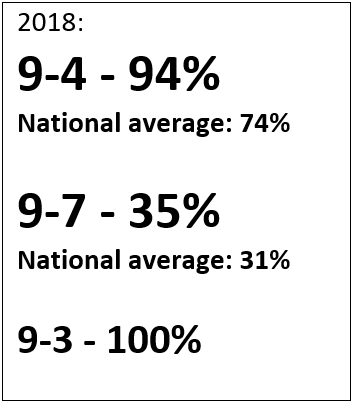 At Winston we are going against the national trend as our Key Stage 4 numbers have grown considerably over the last 4 years whilst nationally they are falling. 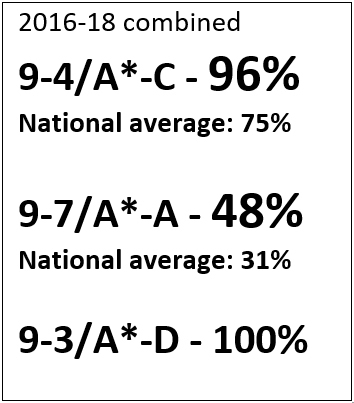 At Winston students entering Key Stage 4 are able to opt for GCSE Music. We study the Edexcel GCSE course in which students are required to compose, perform and analyse music. 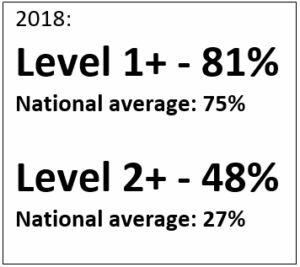 Students receive 5 hours-worth of lessons over our 2-week timetable and are able to access additional support during our GCSE/VCert Coursework Club. 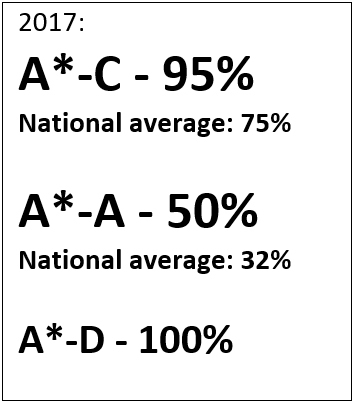 GCSE music results at Winston are outstanding. 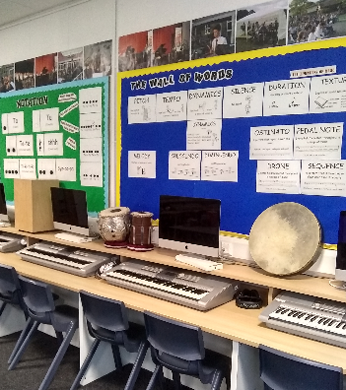 At Winston students entering Key Stage 4 are able to opt for the NCFE Vcert Technical Award in Music Technology. 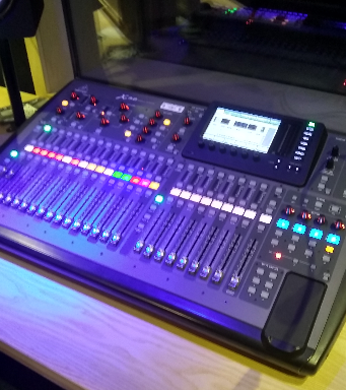 Students are required to compose using music technology, record live music, and create video soundtracks as part of the course. 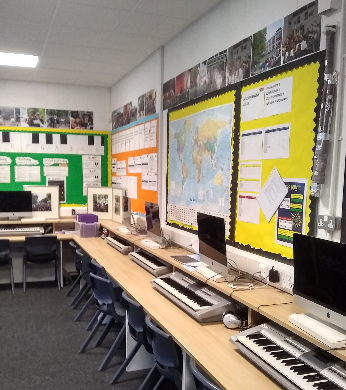 Students receive 5 hours-worth of lessons over our 2-week timetable and are able to access additional support during our GCSE/VCert Coursework Club. 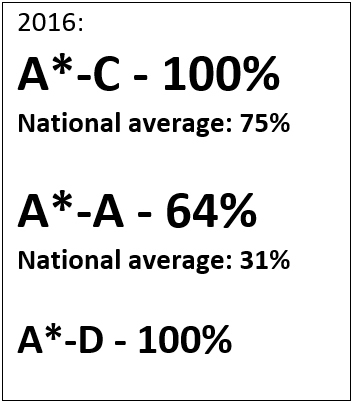 VCert Music Technology results at Winston are very good compared to those nationally. At Winston students in years 7-9 receive at least 2 hours-worth of music over our 2-week timetable. 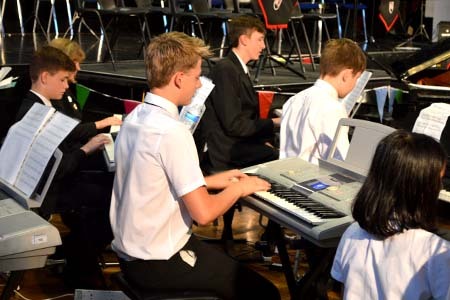 Students study a range of topics and different styles during Key Stage 3, which focus on introducing and building key skills in composing, performing and analysing music. Students are encouraged to work on different instruments during Key Stage 3 so that they experience a broad, varied and engaging curriculum. Students who have been learning an instrument before coming to Winston are placed in one of our specialist music groups in Year 7. This allows us to create a bespoke curriculum for these students, ensuring that their previous understanding and learning is built upon. If you are currently living outside of the Winston catchment area but you play an instrument or sing to a high standard you can apply for one of our 15 music scholarships. Auditions for these will take place in early October. Students are required to perform one or two pieces of at least Grade 1 standard (the pieces do not have to be from a graded exam book), to complete a short aural test, and to give a short presentation about their musical experiences. Successful applicants will be informed of the decision to award a music scholarship before the secondary school application deadline. At Winston we are pleased to be able to offer a large range of peripatetic music lessons. 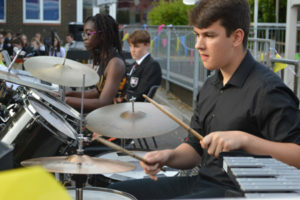 The lessons are delivered by a combination of private instrumental teachers, Surrey Arts tutors and from September 2018 our Music Graduate, Miss Shlackman. The lessons are of an extremely high quality with our students consistently gaining excellent results in graded exams. Many of our instrumental teachers are also able to provide instrumental lessons for primary school students. These lessons take place in the Music Department after the end of the school day. Please contact the relevant teacher below who will be able to arrange lessons for you:ing is built upon. 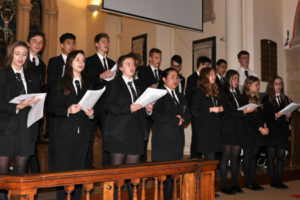 Throughout the year The Music Department put on a number of music concerts and events, from our large-scale Christmas and Summer Concerts to smaller events like our Spring Recital Evenings. We also join forces with the Drama Department to put on our whole school musical performance in the Spring Term. This year we are heading to Belgium for our music tour. Students will enjoy trips to Bruges and Gent and will give three concerts, including one on the beach. This trip is now fully sold out with all places having been taken in less than an hour and a half!